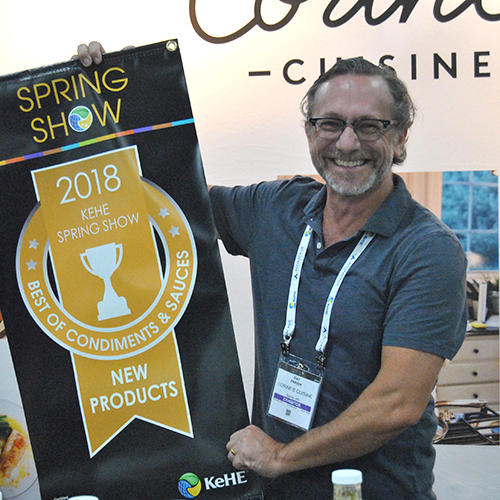 More than 2,200 industry professionals select 10 products for honors at KeHE Distributors' annual Spring Show. 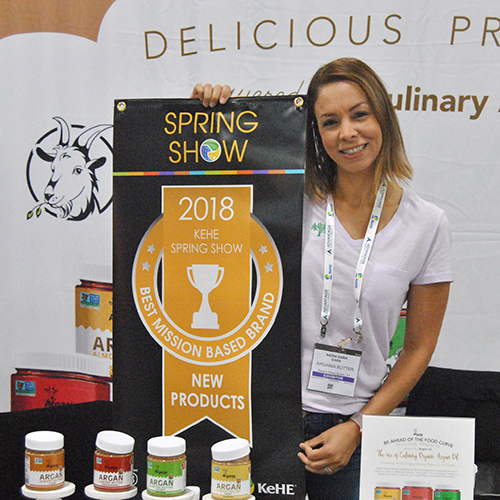 More than 2,200 industry professionals recently attended the 2018 KeHE Spring Show in Salt Lake City, Utah, where they chose the best new and trending natural and organic products. 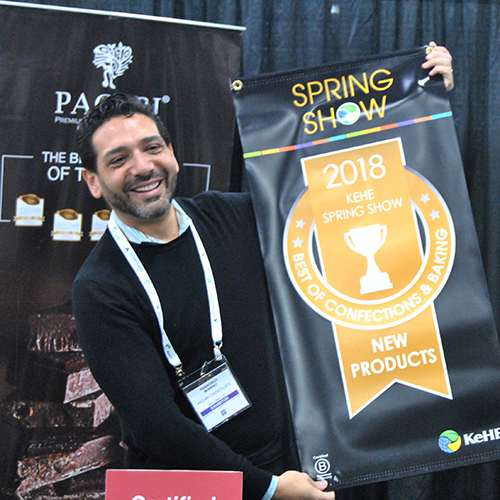 The New Products Showcase featured more than 160 KeHE Distributors brands, highlighting products from Certified B Corp vendors and KeHE’s CAREtrade partners. KeHE Distributors is a natural and organic foods distributor founded in 1953. 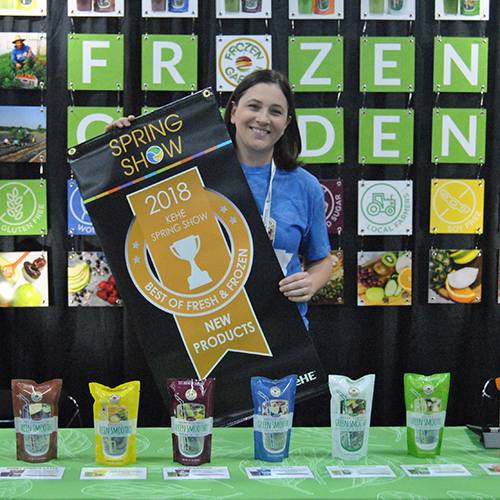 Attendees voted to select 10 winners of the Best of New Products Awards. 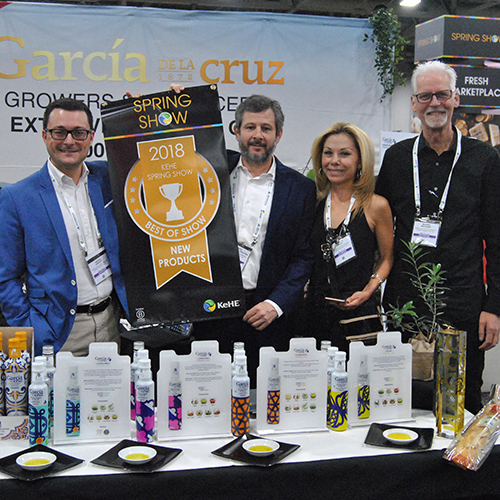 The Garcia de la Cruz family has been making extra-virgin olive oil from its own trees since 1872. Located in central Spain, the company now exports its products to more than 40 countries across the world. Employees strive to preserve the olive oil’s quality by pressing the fruit within four hours after it is picked. 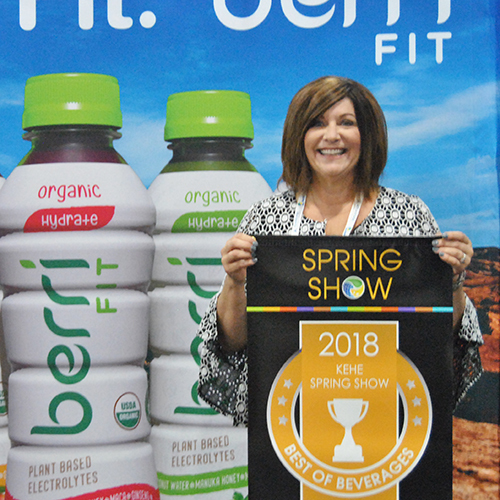 Berri Fit, the first USDA-certified organic fitness beverage features manuka honey, herbs and coconut water to provide athletes a premium fitness beverage. In 2017, Berri Fit was named Best of Mission-Based Brands, as proceeds from different flavors benefited different charities. Berri Fit works directly with farmers to support sustainable practices. 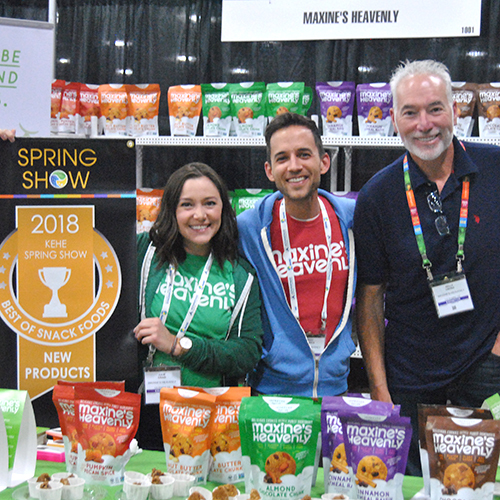 Since 2014, two men in London, England, have been working to make their dairy-free products taste at least as good as the yogurts and desserts that contain cow’s milk. With its delicious coconut treats, the company supports farmers in southeast Asia. The Pur Project helps regenerate soil while providing wildlife with a beautiful habitat. After dinner guests repeatedly asked to take home bottles of her homemade sauces, Corine Parish took her product to the people. Corine’s Cuisine now offers eight gourmet sauces. Flavors include Jamaican Curry Hot Pepper; Spicy Nam-Pla, Fresh Lime and Coriander; Scotch Bonnet Pepper; Spicy Asian BBQ & Stir-Fry; and more. This family-owned company opened in 2002 to make the highest quality organic chocolate from Ecuador. The family works with cacao farmers through every step of the production process, including designing the products’ packaging, to create the first single-origin organic chocolate made entirely in Ecuador. Too often, we rush out of the house without breakfast or a healthy lunch. Frozen Garden Ready to Blend Smoothies feature whole foods—including dark leafy greens, fruits, vegetables and more—with no added sugar or chemical preservatives. Just open the package, pour in some water and blend. 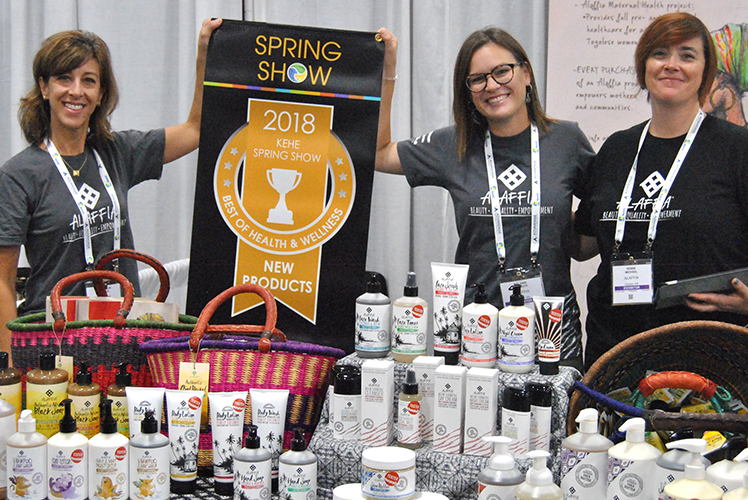 With a variety of cleansers, gels, lotions and creams for your face, skin or hair, Alaffia brings fair-trade body care products to consumers while it supports empowerment projects in Africa. Projects and programs are related to education, maternal health, reforestation, providing eyeglasses and eradicating female genital mutilation. Argan Almond Butter, a Moroccan dip, is enhanced by sea salt; natural flavors such as honey, maple and coconut; and organic Argan oil. Argania is a family-owned business that employs 240 Moroccan women who are paid competitive salaries. The company also supports literacy, business and environmental education programs. Maxine Miller made a variety of homemade cookies for her son, Tim. As a father, he adapted her recipes for today’s clean-eating practices. These snacks include gluten-free oats, brown-rice flour, sustainable palm fruit oil, and other natural ingredients. They are certified vegan, certified gluten-free and Non-GMO Project Verified. Two Cuban-Panamanian-American brothers wanted to bring their favorite Latin American foods to the United States. 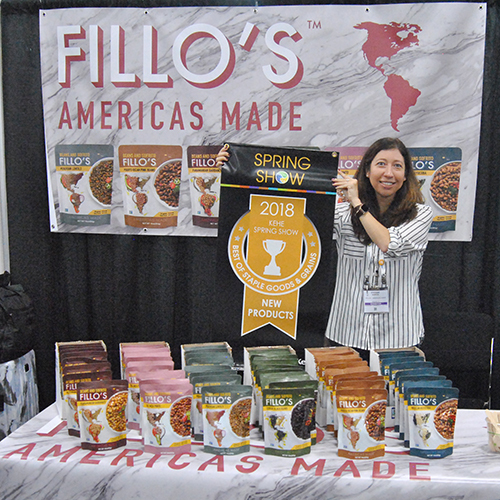 Their sofrito beans are ready-to-eat, shelf stable, vegan and non-GMO. The Chicago, Illinois-based company supports the Northern Illinois Food Depository and is working to address the problem of food deserts in the Chicago area. The KeHE Spring Show opened with a panel of industry leaders sharing tangible ways to harness data to drive results. “We take it one step further to educate show attendees on the data available and the power it has to grow a business. It allows them to leave with products backed by a strategy. 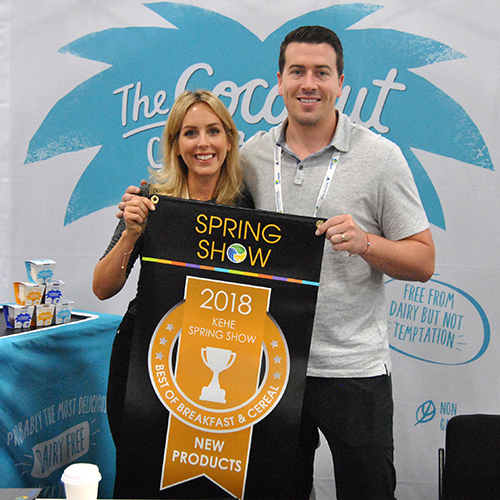 We are proud to continue to connect thousands of retailers with the products consumers crave to drive success in the marketplace,” said Brandon Barnholt, KeHE’s president and CEO. KeHE’s next show is scheduled for Feb. 5-6 in Nashville, Tennessee.